ARGENFELS, owned by Deutsche Dampfs. Ges. "Hansa", is seen passing Rozenburg, inbound for Rotterdam on 30th May 1975. 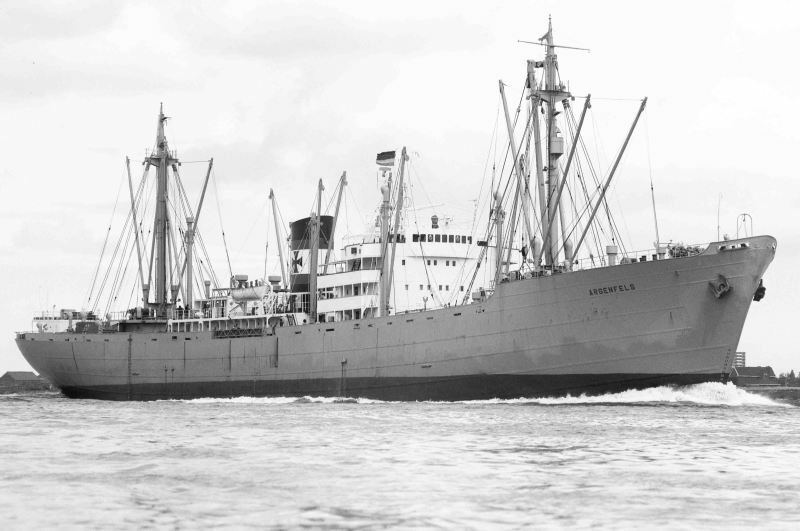 Launched at Wilton-Fijenoord, Schiedam, in July 1944, she was completed by Rickmers at Bremerhaven in July 1950. ARGENFELS finally arrived at Gadani Beach on 19th February 1978 for breaking.